Kaltura is a streaming service that plays videos and audio directly in Moodle. 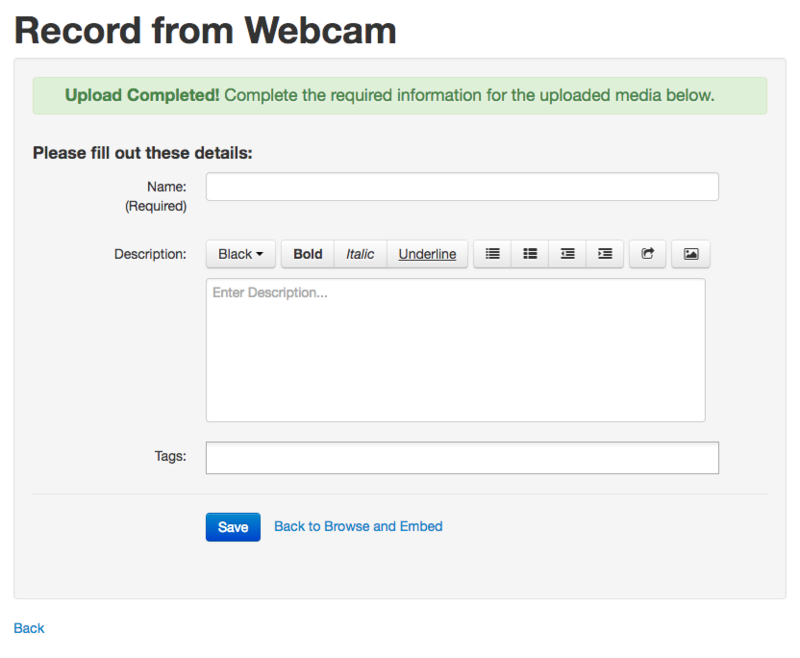 This article explains how instructors can add media files to the My Media area in Moodle. Files added here are private to the user until they have been added to a course. 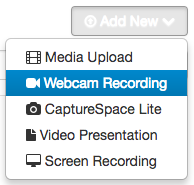 See Adding a Kaltura Video Resource to add a video to your course. 1. Log into Moodle and click on Kaltura and then My Media in the Navigation block on the left. 1. 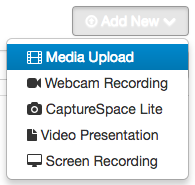 Click the Add New tab on the right of the blue media button and click Media Upload on the list of options. 2. Click the blue button labeled Choose a File to Upload. 3. Select the file you wish to upload from the file browser. Upon selecting a file you will be redirected to the following screen. If you wish to add a description, enter it into the textbox offered. You can also add tags to make searching for this upload easier. When you have your settings ready then click the blue Save button at the bottom of the window. 4. The video you uploaded will be added to My Media. To add this video to your course, see Adding a Kaltura Video Resource. 1. Click the Add New tab on the right, and select Webcam Recording. 2. 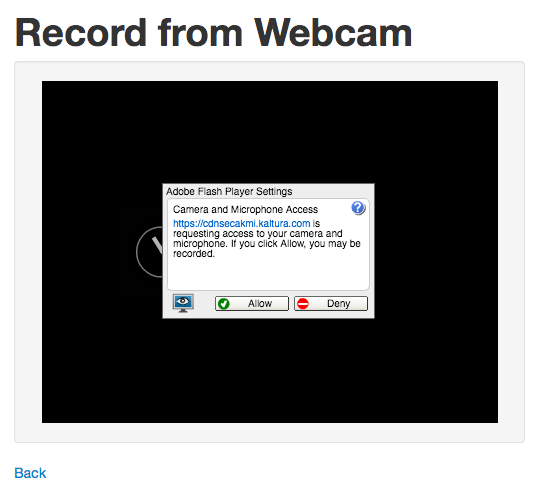 Click the Allow option in the Adobe Flash Player Settings to allow access to your camera and microphone. 3. Once you complete the recording of the video, click Next. Add a Title and a Description to your video. Select Save.